Resolute Mining has released its annual report, detailing a fairly healthy 2017 financial year, with gold production nearly 10 per cent over annual guidance. 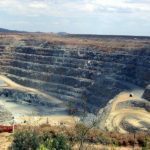 The company returned 329,834 ounces (oz) of gold from the company’s flagship Syama mine in Mali and local Ravenswood mine in Queensland, which was over the company’s full-year guidance of 300,000oz. Gross profits for the year rose from $155 million to $177 million, up 14 per cent on 2016. However, net profits actually fell from $201 million to $166 million in the same time period. 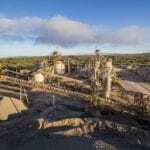 “The continuing strong cash flows from our operations have been used to strengthen the company’s balance sheet and provide flexibility to pursue new investment opportunities,” said managing director and chief executive officer John Welborn. Last November, Resolute implemented a gold hedge to be delivered over 18 months from December 2017 to May 2019 in order to support an expansion at its Ravenswood mine. The company’s focus leading into the next financial year will turn to balancing the books. 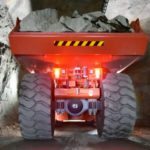 It will also concentrate efforts on development of an underground development project at the Syama mine, including the implementation of fully automated loading and hauling systems, as part of Resolute’s technology drive. 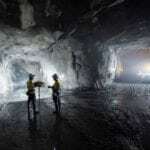 “The underground mine [at Syama], when fully commissioned during FY19, will provide a low cost 12-year mine life and increase total annual site production to 250,000oz of gold,” explained Welborn.